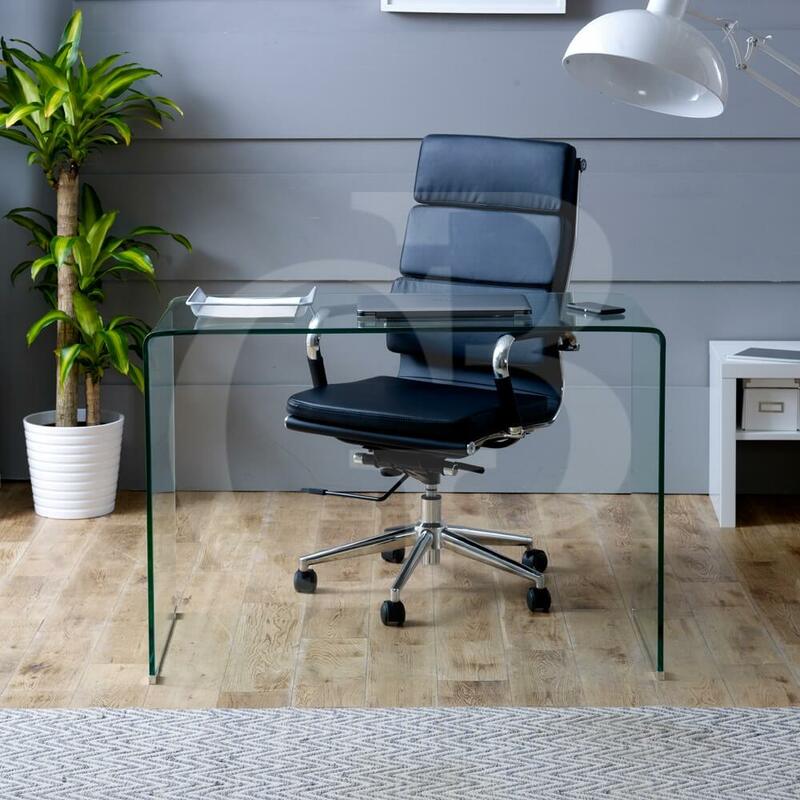 This small clear glass desk is highly functional with an ample work surface, perfect for housing your computer equipment and stationary, the modern seamless design is more than capable of the daily wear and tear it will be subjected too due to the use of 12mm thick tempered safety glass. Our glass range is crafted from toughened safety glass which has been bent and curled into shape allowing for smooth, curvaceous and seamless surfaces and gives a flowing illusion of space and invisibility in your home. All items in this range have been designed and planned for everyday wear and tear with varying thicknesses of glass that has been used.